Our Phase 1 grant accomplished everything we planned in our original grant application and more! 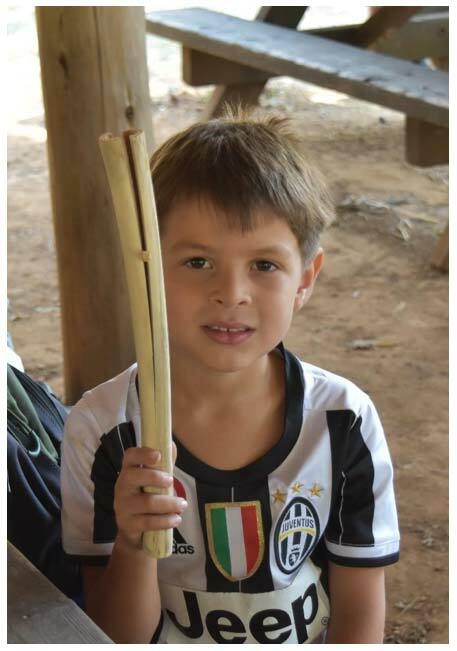 One of our original project outcomes was to hold a workshop for Tribal youth on how to make a traditional clapper stick. 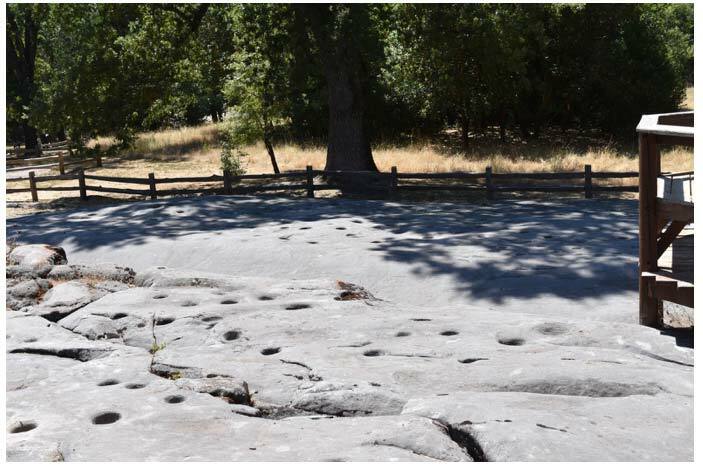 This outcome ended up as an outstanding all-day cultural event hosting 60 Miwok Elders, adults, and youth at a place of extreme historic significance to the Miwok people, the beautiful Chaw’se Indian Grinding Rock State Historic Park in Pine Grove, California. 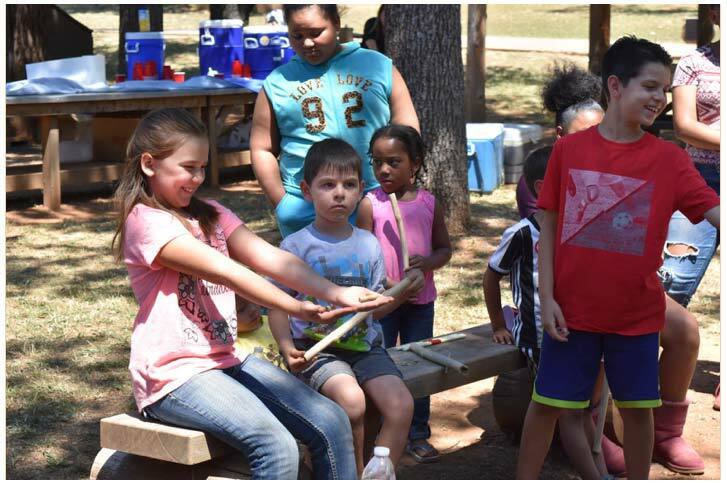 Children and teens created a traditional musical instrument (a clapper stick called a ṭakaṭṭa’ in Sierra Miwok) that would keep just the right beat as they sang songs their ancestors passed down to them. They learned the history, principles, and cultural protocols surrounding traditional California Indian hand games. Though most had seen hand games played, few knew how to play. 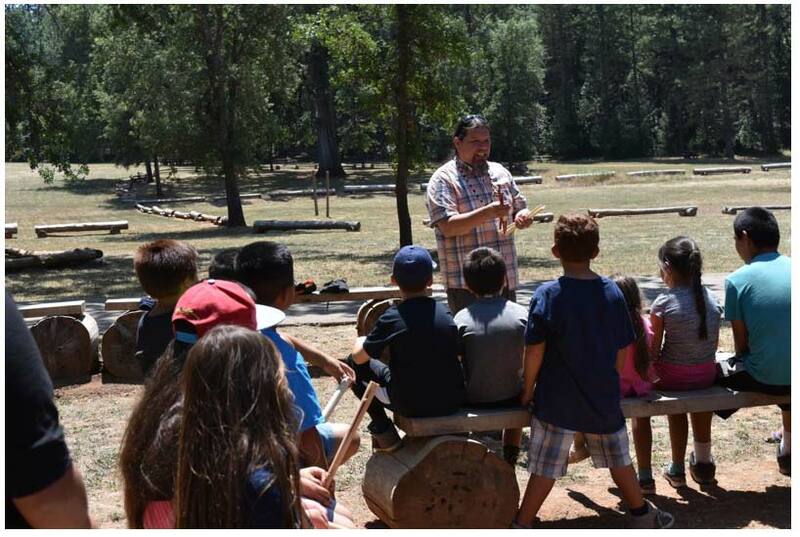 They heard the Elders sing traditional Miwok hand game songs using the ṭakaṭṭa’, formed teams, and played hand games under the guidance of the leaders and Elders. 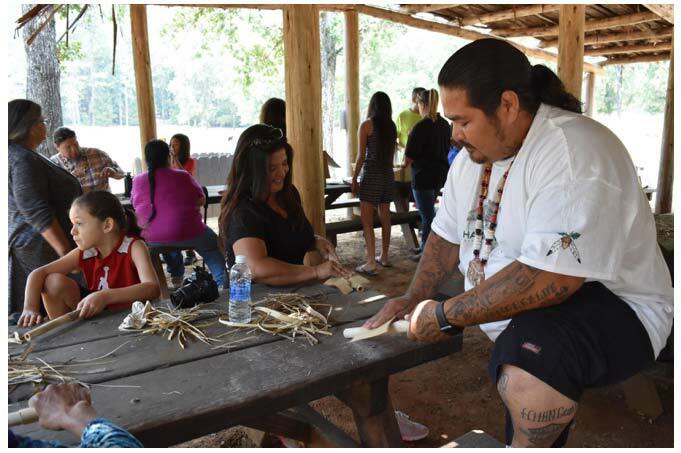 Tribal members also carved works of art out of soap-stone with guidance from Ione Band tribal member Heather Baugh. Another project goal was to create a set of sound files for a digitized knowledge base of tribal language, culture, and oral history, including three hand game songs recorded by a 90-year-old Ione Band Elder, a blessing prayer, and a group of files containing spoken words and phrases for everyday speech. The Miwok singer who was going to be teaching hand game songs to the youth at our cultural event had never heard the songs on the recordings. It was great to hear these songs given new life. The project blossomed in ways that were exhilarating and unexpected, propelling the Ione Band into a stronger, more positive direction for language and cultural revitalization. Originally, there were no plans to allow people of other Miwok tribal affiliations to attend our cultural event. Once we began advertising the event to Ione Band members, they asked to invite non-Ione Band members to the event. The Ione Band singer asked to invite a friend from another Miwok band to sing with him. The gentleman he invited was extremely knowledgeable about Miwok songs and traditional knowledge, and so were many of his relatives, who were also invited. We plan to invite them back! Another unexpected outcome was that an Ione Band Elder agreed to give a beautiful, fluent opening prayer in the Northern Sierra Miwok language – one of the few who can say a prayer in any Miwok language with such fluency. This Elder is the mother of Vice-Chairwoman Tracy Tripp, who attended the Pathways to Fluency Conference in New Mexico last December with Acting Language Program Coordinator Suzanne Wash. After the event, Tracy and Suzanne discussed the urgency of recording and documenting Tracey’s mother speaking Northern Sierra Miwok, while her mother is still in good health. Another Miwok Elder at the event is a known speaker of a different dialect of Northern Sierra Miwok. This event smoothed the way to include this second Elder in future language documentation projects. 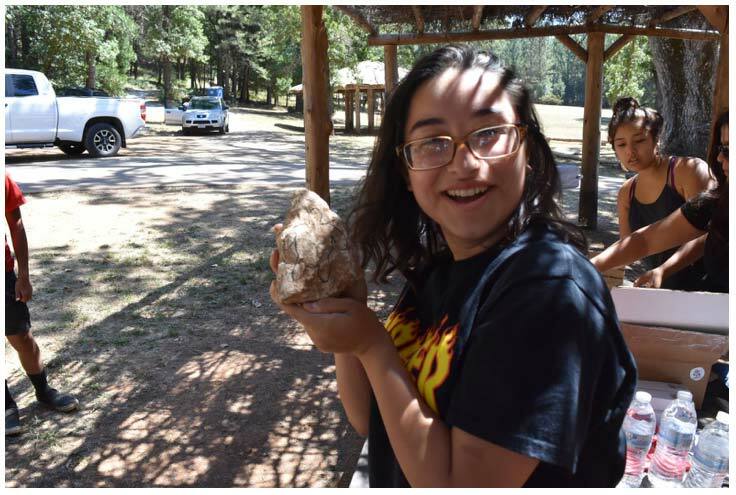 The project received in-kind support from the California State Parks, which waived their normal parking fee for everyone who visited the park on the day of our event. 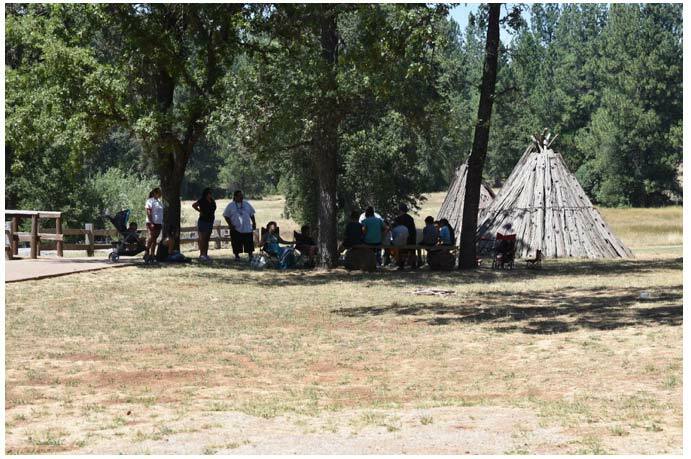 Because our cultural event was so warmly received, we plan to hold additional traditional Miwok cultural activities at the park and at other locations in the traditional ancestral territory of the Ione Band of Miwok Indians. 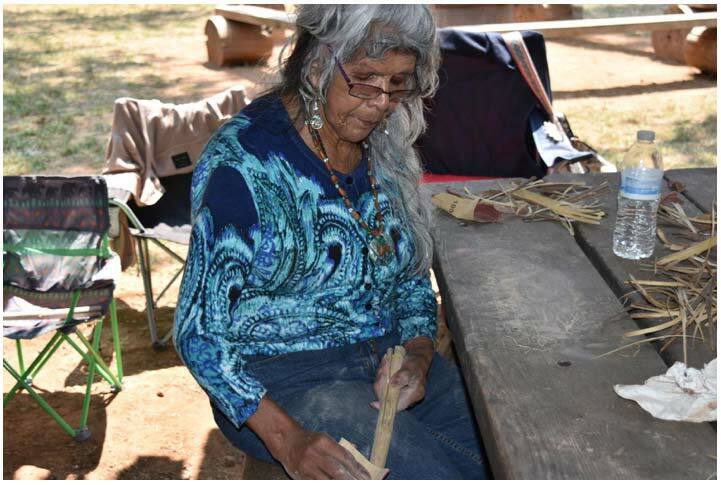 We plan to have a basket-making workshop, a regalia-making workshop, and a workshop to make a traditional Miwok drum. 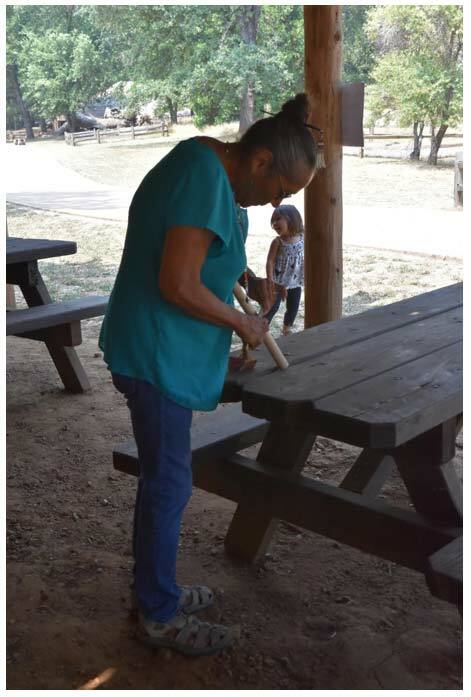 We will invite back the awesome California Indian leaders who led the clapper stick making session and the hand game demonstration. We also plan to build upon the digital knowledge base of language, oral history, and traditional knowledge that we created with grant funding by interviewing Elders in the Ione Band who speak the language fluently. We will make audio and video recordings with them and with Elders of other Miwok tribes who wish to work with us to leave a priceless legacy of Miwok heritage to our youth.